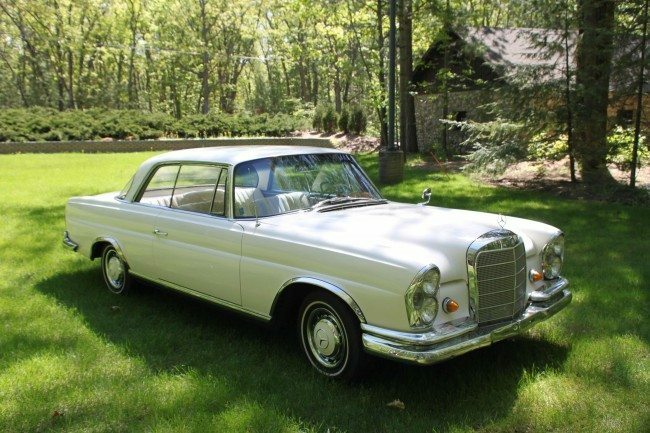 The Mercedes Benz W111 series was the top-range of luxury vehicles from Mercedes-Benz, produced from 1959 – 1968. Beginning in 1961, the sporty 2 door coupe was developed, and premiered in Stuttgart for the 75th Anniversary of the opening of the Mercedes-Benz Museum. The 2-door 220SE Coupe sold for $8,900 when new. It remains a smooth and comfortable touring car with plenty of room that is equally at home on the Autobahn as it is on American highways. 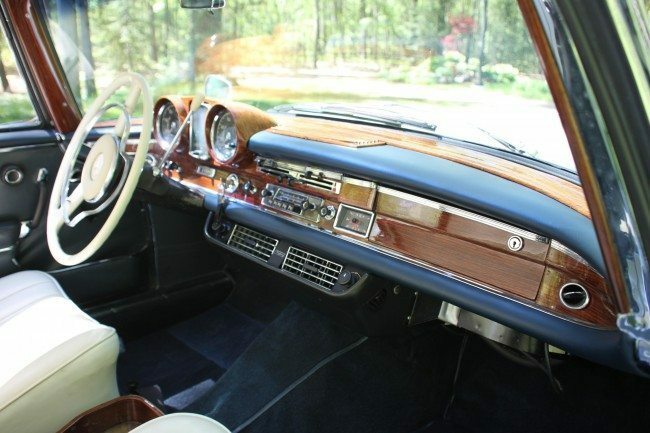 This fine SE Coupe was restored in 1995 by Walters Star in Denver, CO, for longtime owner Rick Cover, and purchased by the current owner in 2004 – fulfilling a lifelong dream of owning a car that was identical to one his father had purchased new. It has been carefully stored and driven only in clear dry weather ever since. Recent servicing includes new tires, new brakes and hydraulics on all 4 wheels, muffler, and fuel system rebuild. The car starts easily, runs silently, and cruises effortlessly. The beautiful white paint retains a nice shine, with just a few very minor chips keeping it from a #1 description. The chrome is also very good, and it’s obvious that the car is laser straight, as all the panel gaps are excellent. 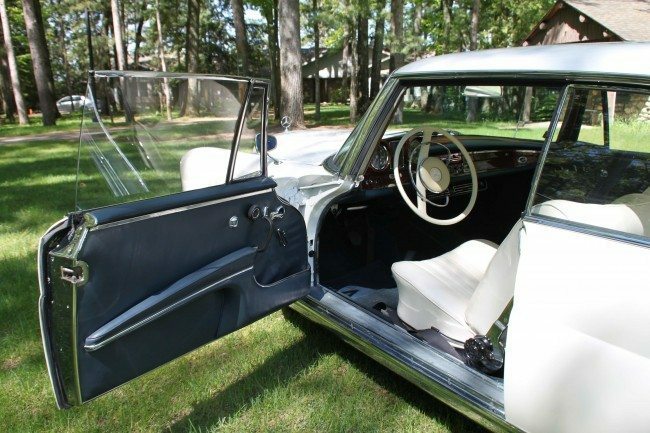 The interior is very clean, with beautifully finished woodwork, and only a minor seam split on the driver’s seat to be aware of as a flaw in the upholstery. The factory Becker radio is in place, but has not been repaired, but the Air Conditioning works great. The glass is outstanding, the carpets are cleran and fresh, and the entire car presents today in fine factory correct condition throughout. The factory manuals, all receipts, and a custom car cover are included. This beautiful SE Coupe has travelled just 69,077 miles since new, and has obviously been well cared for. The body and undercarriage are very solid, the panel gaps are correct, and the interior is all original and well kept. If you have an early model Mercedes Benz or another collectible you’d like to insure with us, let us show you how we are more than just another collector vehicle insurance company. We want to protect your passion! Click below for an online quote, or give us a call at 800.678.5173.